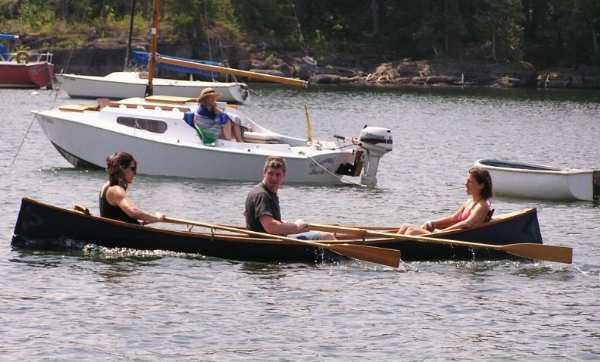 Many people believe the “boating season” and “swimming season” are the same season. Those of us who build ‘dry boats’ know that that isn’t so. We have a customer, probably about 80 now, who prides himself on rowing every day until Christmas. If you felt the grip in his hand you’d know this was no la-de-dah trip around the pond. 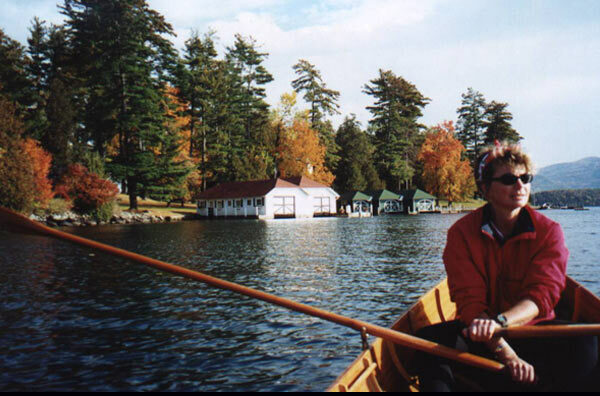 Michelle is seen in the first photo, rowing her boat on Lake George in the last week of October. The second photo was taken in the last week of November. 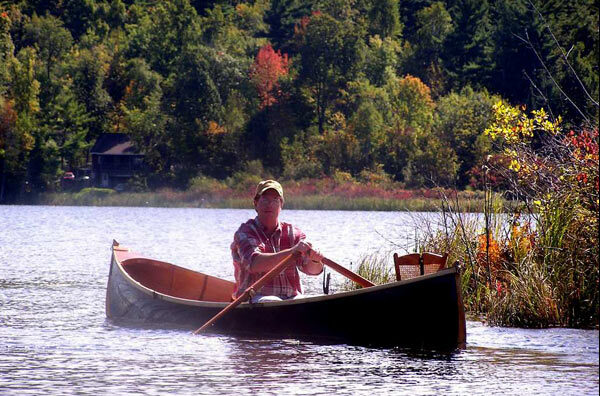 This was a customer who traded a 10-year-old Chevy Suburban for a 20-year-old restored Cedar Guideboat. This is him taking his “new” Guideboat out for the first time. These were the photos which jumped to mind when we thought of autumn rowing. If you have photos of our boats in autumn… please send them along , we enjoy sharing customer’s photos with our AGB friends.